In the search box at the top of the page, write what you're looking for. You can use words or symbols called search operators to filter your Bkper search results. You can also combine operators to filter your results even more. You can search for a specify user. This will find all activities from this user. Note: user activity is different than transaction state, so a transaction can be unchecked but a user might have checked it at some point. Which transactions are posted? 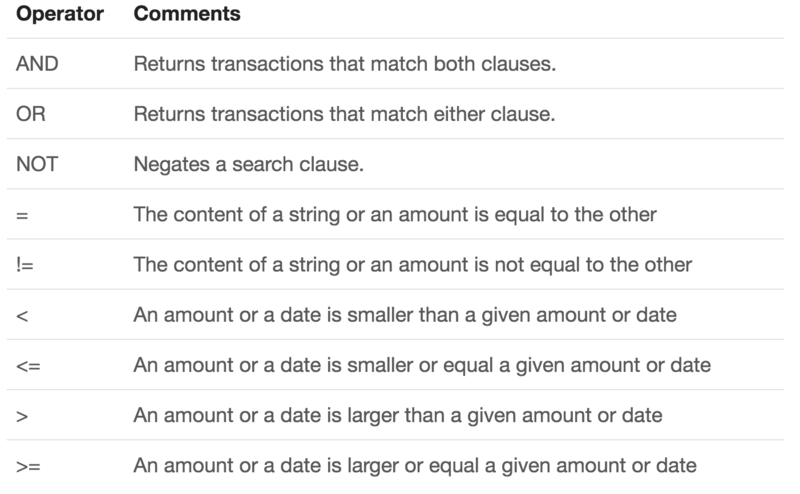 Which transactions are checked? You can search for the status of the transactions. Note: Transaction State is different than user activity, a transaction can be is:unchecked but was checkedBy: someone earlier. Note: From: and to: can be used with Accounts, Groups, Types. Search transactions on a specific date or in a specific time range. Note: Date formats depend on book settings. amount:2000 lists all the transactions with the amount of 2000. Default behavior on Bkper search is AND when searching for more than one word, but you can filter results with any of the following operators. Who paid any transport or lodging costs with cash in june 2016? Any consolidated transactions that ended up in the trash bin? Save your queries on the Context menu. 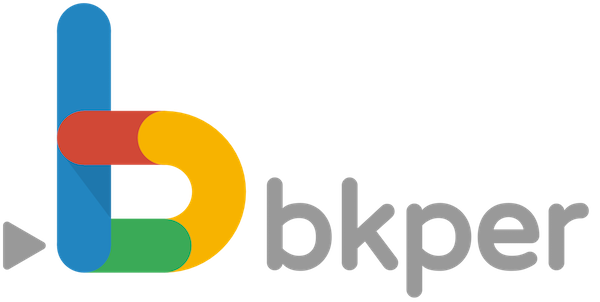 Use your saved queries on the Add-ons for Bkper to access your results.